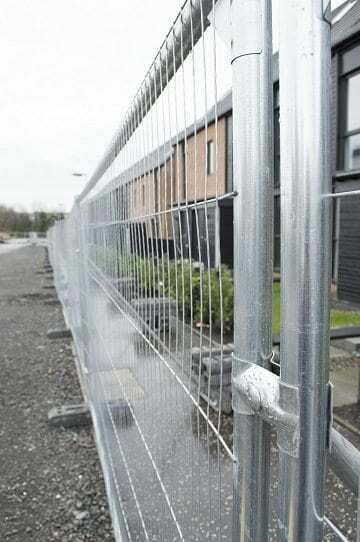 This type of fencing solution can be used on construction or building sites, sites awaiting a permanent fencing solution, new housing developments that require security or outdoor events that require ‘no access zones’ to the public. The construction of the fencing panels make them ideal theft deterrents, as the narrow mesh gaps make the fence more difficult to climb. Made from galvanised steel, the panels are incredibly sturdy and easily signify to the public which areas are to be accessed and which are not. Easy to erect, dismantle and store. Panels feature a sliding latch for additional security. Designed to be temporary, but the panels are very robust and weather resistant. Vehicle and pedestrian gates are also available for use with this fencing solution.